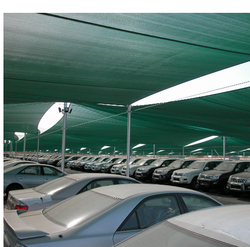 Our product range includes a wide range of shade cloth for vehicle. We are known as one of leading Car Shade Cloth Manufacturer and Car Shade Cloth Exporter. And Vehicle Shed Cloth made available by us is manufactured using the quality-tested material and is offered in different colours. Looking for Shade Cloth For Vehicle ?